Beautiful scenery, charming, travel to Vietnam Mekong Delta will gives you great memories at the holidays. There are some hot places in this summer. Floating Village aka Tan Lap melaleuca forest, Moc Hoa District, Long An Province, the center of Ho Chi Minh City about 100 km. This is a fairly new address on the tourist map, but quite alluring tourists because they come here to feel relaxed, immersed amidst nature green mangrove forests as well as shed the burdens of life where urban hustle. Located from the border of Vietnam and Cambodia, only 10 km, Tra Su cajeput forests under mysterious mountains Son of “capital” Nui Cam (Van Giao, Tinh Bien district, An Giang province), the objective of submerged forests West represents the Hau river, inhabited by many species of waterfowl, wildlife and aquatic organisms in the system of special-use forests in Vietnam. 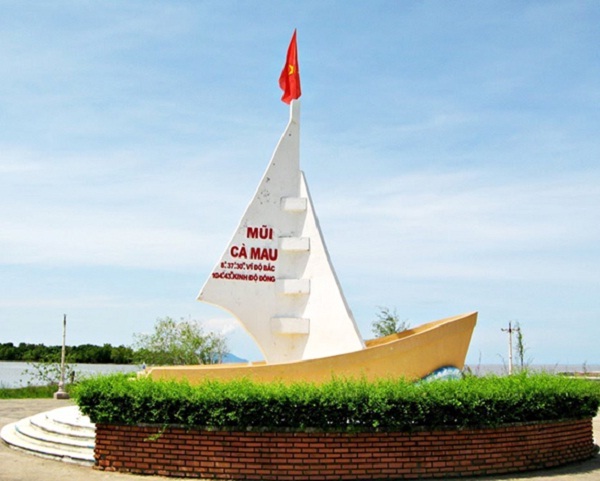 Mui Ca Mau is the protruding piece of land located in the most southern point of the country, located in the neighborhood Nose, Dat Mui Commune, Ngoc Hien district. 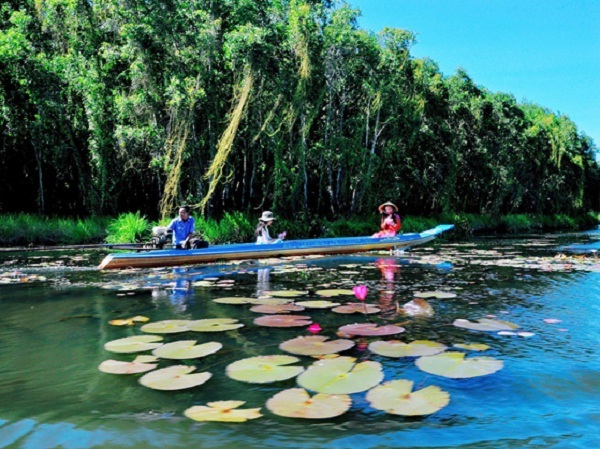 It features mangrove ecosystems are diverse and plentiful. 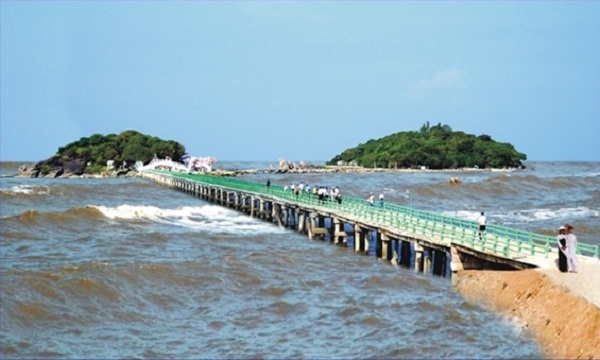 Coming to Dat Mui, you will visit the national landmark GPS coordinates and icon iconic landscape pano boat filling with wind, the ship of the country are facing the sea. Coming to Hon Da Bac, outside scenery remains unspoiled bold and exciting form of expression beyond the three islands, visitors can see a wealth of granite stones stacked, thanks to the Creator molded hand which into the very unique shapes such as: Patio first, the well first, feet first, first hand… more particularly, it also focuses more spiritual values ​​of coastal residents such as Mr Lang Hainan – which showcases giant whale skeleton and record stories about mysterious whale rescuing people at sea. Besides, Hon Da Bac also includes a forest ecosystem is extremely rich and diverse forest with patches of primary vegetation and rare. This is the magic touches that nature has bestowed own Ca Mau province. 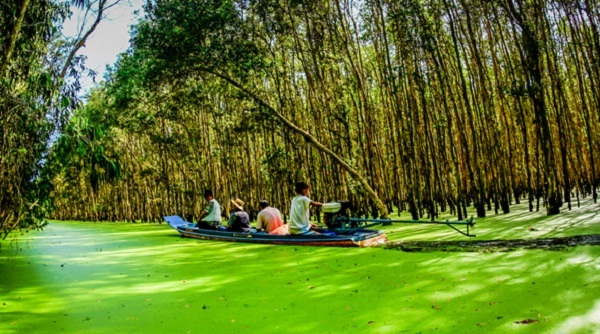 You will feel wonderful with these places in Vietnam Mekong Delta.